But I also have the feeling that the majority of them actually never participated in the Kickstarter campaign. I did. I didn't donate a lot, but I still participated. And anyway, anyone who's part of the fandom is involved in this, since it isn't like Revolution will be exclusively for those who backed it; it's supposed to be for everyone. Narrowing things down to who backed the Kickstarter is pretty reductionist. By this logic, only people who contributed money to political campaigns have a right to petition and have their grievances heard by the government, which is nonsense. It's also possible that some people who didn't donate to the Kickstarter may simply be waiting to purchase the product once it is finished. And those people might have been the wisest of us all. My point isn't that only the fans who backed the campaign should have a right to complain and the others don't. My point is that almost no backer on Kickstarter actually complains. Instead the reactions there are more like "Hey, it's cool that the project isn't dead already!" and "Best of luck and keep going!". It just feels to me like that those who are enraged most are the ones who haven't participated in the campaign which makes me wonder why it's actually them who are so enraged and/or disappointed. I would have rather expected this from the backers who put money into this, that's all. I also wanted to point out that some people take the whole thing too serious in my opinion (with the most extreme being those who actually leave the fandom because of the project's situation, which is quite an overreaction and thus complete nonsense in my opinion). Let's assume for a moment that the Tremblays never made an official announcement that they are working on reviving SK, then no one would care because no one would know about it and things would have gone on like before. So what harm has actually been done to the fandom or the original show? Not really much, at least in my opinion. Instead I have the feeling that the enraged fans who claim that the Tremblay's are damaging the fandom with their actions are actually damaging it even more by creating a negative atmosphere. Please don't get me wrong, I'm also quite disappointed about the Tremblay's actions, but I don't see why this seems to have such a negative effect on our fandom which is mostly build on discussion about the original show and an impressive amount of fanworks. Why should this the reason for this fandom to turn sour? It would be quite sad if that happens. This thread's getting a little off-topic. The intent wasn't to facilitate trading barbs, be they low-key or otherwise. Did they provide a date as to when they would be willing to talk about it? Did they give any specific reasons for not wanting to discuss it? The answer to your first question is no. The answer to your second question, which is alluded to in the 25th Anniversary video, is due to unspecified conflicts that could disrupt financial aspects of the show. It is worth noting that this reason has been given for over two years. While I understand them not wanting to answer questions regarding final art syle, voice actors, what studios have they approached so far, there are a few questions I'm kinda scratching my head over what was the reason for not giving an answer. 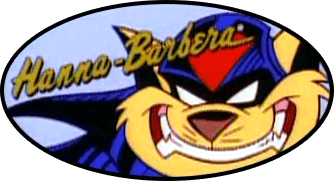 - Has there been any specific reasons given by studios for why SWAT Kats was not picked up? Obviously I don't expect them to tell which studios gave the answers, but saying something like "They don't think SWAT Kats has a wide enough appeal in today's world." or whatever the reasons were shouldn't be a problem. - How has the $140K investment from fans been used? Obvously some of it was spent on fulfilling the merchandice rewards, but I think that is a valid question. - One of the Kickstarter goal tiers was an animated trailer for SK Revolution. Has that been made? Addressing what their plan is regarding that trailer would get some people of their backs. - Are there finalized stories for SK Revolution, and if so, who has written them? They easily could have said "As the show is not greenlit yet, obviously there isn't a staff assigned to it, thus no writers, thus no final stories.". - With all of the obstacles this project has faced, are you still committed to making SK Revolution a continuation of the original series (same continuity), or do you think it will be an entirely new show (a "reboot") with new character histories and completely different stories? I thought they were determined to make it a continuation and that's something they wouldn't budge on. - Going into 2019, will Tremblay Bros. Studios commit to more project updates for Kickstarter backers? They could have said something along the lines of "It depends on how much progress we are making, if we have something concrete to announce, we will so.". Please don't get me wrong, I'm also quite disappointed about the Tremblay's actions, but I don't see why this seems to have such a negative effect on our fandom which is mostly build on discussion about the original show and an impressive amount of fanworks. Why should this the reason for this fandom to turn sour? It would be quite sad if that happens. From where I'm sitting, talking with others, many who did, and many who did not participate in the Kickstarter, the reason for the souring isn't due to the Kickstarter itself, but due to a feeling on the disappointed side that they're being regarded as doomsaying troublemakers for wanting accountability, or at least transparency, and a worry that not bringing the Tremblays to account over their failure to even begin production of the promised trailer long after the goal for it has been reached is basically letting them slide. The plain and simple fact is, a trailer was promised once a certain amount of money was raised, and even though that amount has been reached and surpassed some time ago, not only has this trailer not materialized, apparently, work has not even begun on it. I believe they also promised they'd discuss details about Revolution along the way, something else they haven't really done. On the disappointed side, this is seen as inexcusable, and, what's more, they (we, really) are sort of scratching heads about why this isn't riling more people up. We're not asking for an angry mob with torches and pitchforks. Just a little weirded out that nobody else seems concerned about the delay and dissatisfied with the Tremblays' reasons for it, and now this, which amounts to a complete and total shutdown of communication regarding anything involving Revolution. We're concerned that not holding the brothers to account on this matter is basically telling them that not following through on the Kickstarter's very clearly stated goals is okay, and that any old excuse will do. This is what I think, from my own personal observations and my interactions with other fans who are disappointed in how the Kickstarter's is progressing (or, rather, isn't progressing). Yes, Christian and Yvon are the creators of the show we all love, they seem like, honestly, nice guys, and they've been more than generous to me personally (thanks for the signed Dr. Viper figure, guys!) and to the fandom as a whole with such a wealth of behind the scenes material from the series (we wouldn't have the scripts/outlines for the three unfinished episodes without them), but this doesn't mean we can't ask them to explain themselves when we feel that they're dragging their feet, or be unsatisfied with the answers they give. The other problem, briefly mentioned above, is that the ones who are growing uneasy with Revolution's lack of progress and updates feel like we're being treated as ungrateful, troublemaking rabble-rousers by the rest of the fandom, when nothing could be further from the truth; we want Revolution to happen as much as anyone, we're just less inclined to give the Tremblays as much wiggle-room as others are because we are not satisfied with the frankly kinda vague answers they've been giving. It is worth noting that this reason has been given for over two years. And it's an answer the disappointed side isn't entirely satisfied with, especially after all this time, however true it may be. That's all I'm asking people thinking we're just being naysayers to realize. I can see it disrupting production of the actual show, but not necessarily the trailer. The trailer, I assume, can be done relatively quickly by using the Kickstarter money to pay an independent animator or studio to do it, which is what I, personally, believed the Kickstarter money was for. If the problems that they mention are so pervasive that it means even the promised trailer can't get made after two years, then this doesn't give us on the disappointed side very high hopes of ever seeing it, much less the actual show it's intended to promote. And if this problem is so pervasive, what happens when the donations reach the next goal: the production of one full-length episode? Does anyone see why we're a little nervous about this? At the very least, I'd like to see the Revolution series bible that was promised. 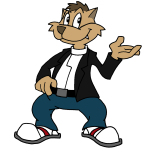 That way, even if the show never gets made we can write our own episodes, kind of like the Bucky O'Hare web series that Kooshmeister wrote for back in the day. Ooh, wow, talk about a blast from the past! I only did a few episodes in the final "season." Most of it was all DJ Clawson and Rygar. But, anyway, that's a pretty good suggestion, Mark, and one I've mentioned in passing a few times, myself.